The Honorable Glen A. Huff has been elected chief judge-elect of the Court of Appeals of Virginia by his fellow judges. He will succeed Chief Judge Walter S. Felton, who will retire on December 31. Judge Huff will serve a four-year term as chief judge. 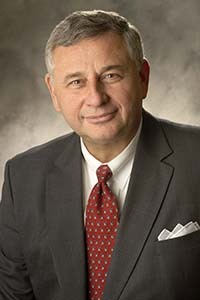 Judge Huff, of Virginia Beach, was appointed to the court by the Virginia General Assembly in July 2011. He practiced law for more than thirty-five years before joining the court. Judge Huff received his bachelor’s degree from the University of Maine and his law degree from the University of New Hampshire Law School, formerly the Franklin Pierce Law Center.